Heya everyone! I hope you all had a lovely weekend and an especially lovely Mothering Sunday! If you are mothers yourselves I hope you got absolutely spoilt rotten. Mine was unfortunately sleeping most of the day and then woke up to go to work so I didn't really see much of her but she loved her presents so I guess that is something. Yesterday I posted my March Beauty Favorites. If you enjoyed reading that but are wondering where the skincare favorites were then look no further. 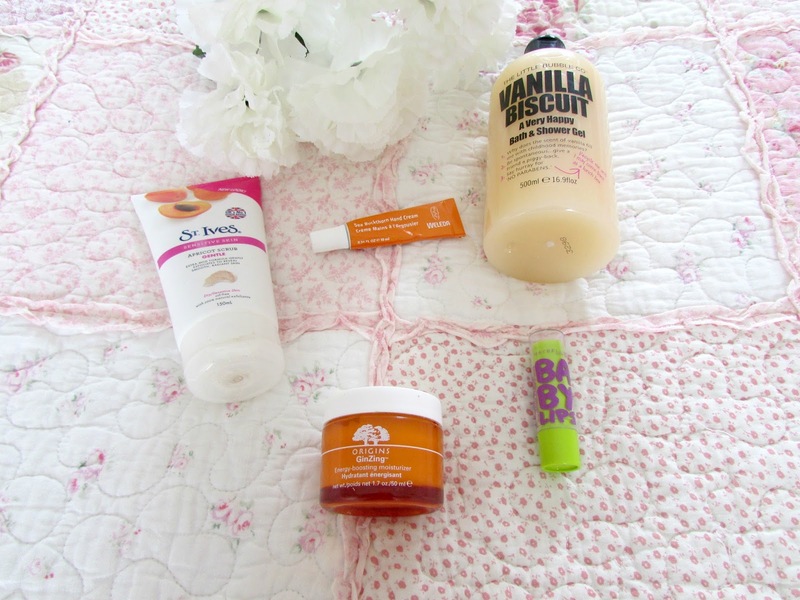 Carry on reading for the skincare products that I have been loving throughout March. I know I only reviewed this product two days ago but I absolutely love it and since it was one of my favorites throughout March I've decided to include it here. 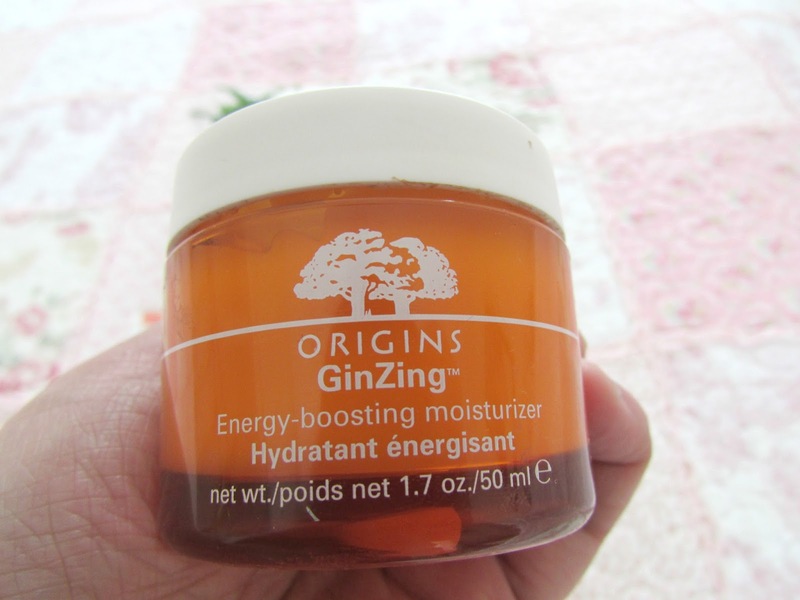 Not only does this moisturiser have an absolutely incredibly citrus scent but it is very lightweight, extremely hydrating and makes a perfect base for make up as well. It feels really cooling on the skin which is perfect for getting rid of any puffiness anywhere on your face and will suit almost every skin type apart from super dry skin. Head on over HERE to check out my full review as to why it might not be best for those of you with dry skin. It is however perfect for my skin and even though the price tag is slightly high at £23, it is definitely something I will keep on repurchasing. 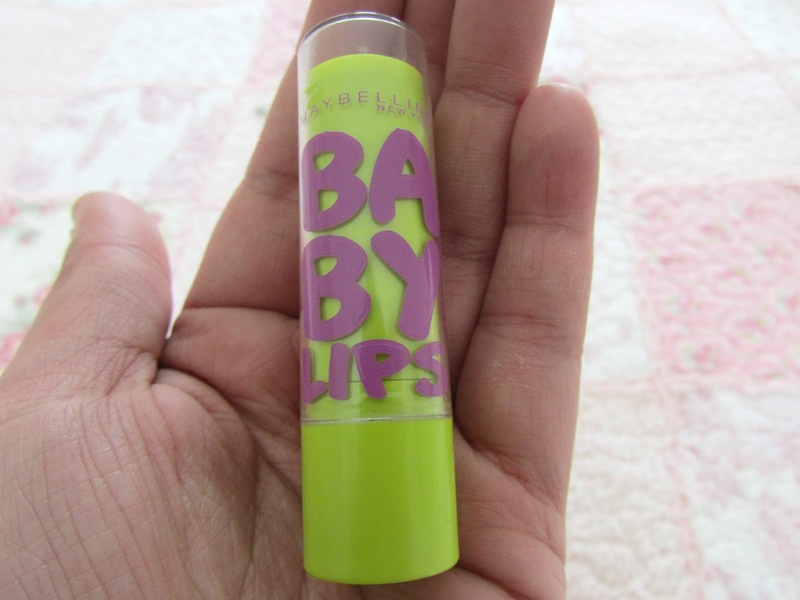 Maybelline Baby Lips were one of the most hyped up lip balms throughout 2013. Six were released, three non-tinted lipbalms and three tinted ones. All of them nourish and hydrate the lips and protect them from dryness and chapping. Throughout March my favorite baby lips to use was the Minty Fresh one. Not only does this lipbalm smell amazing but it's the only non-tinted lip balm that feels like it is working. It really hydrates my lips and protects it from dryness. When you apply it there is a tingling feeling on your lips which I wasn't to sure about at first but I find that this means it is actually working. I apply this every night before bed and my lips are left feeling supersoft in the morning. Priced at only £2.99 it is definitely one of the best lip balms out there. I have reviewed three others from the collection HERE if you are interested and haven't yet tried them. Whilst in the supermarket shopping with my Dad I decided to head on over to the beauty aisles and spotted this absolutely gorgeous shower gel. On the stand they had four different scents which I can't remember the full names of but I remember that they were Mango, Coconut and Strawberry and obviously the one I purchased which is Vanilla Biscuit. 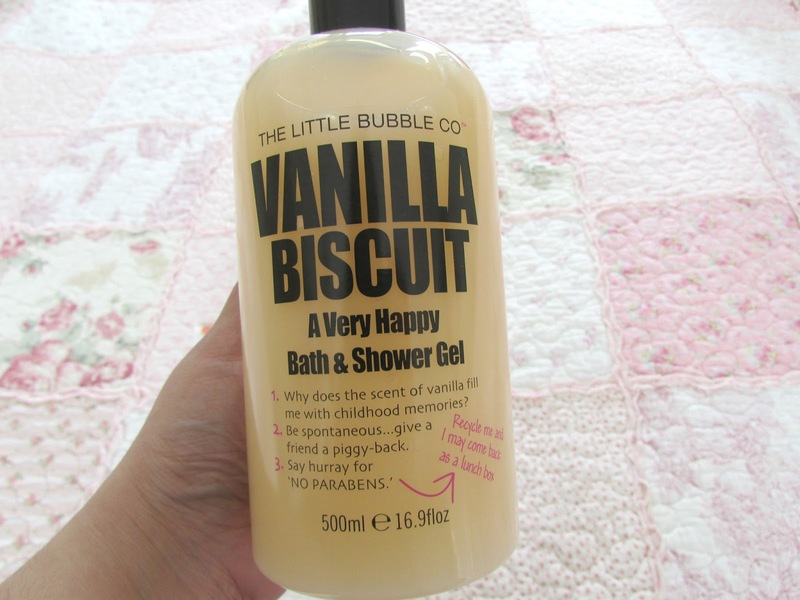 The mango and vanilla one smelt the nicest and considering I have enough Mango scented skin care things to last me a lifetime now, I decided to purchase the Vanilla Biscuit and it smells absolutely incredible, just think of freshly baked vanilla cupcakes. It leaves my skin feeling super soft and really hydrates and nourishes the skin. This stuff lasts absolute ages and I'll definitely be purchasing a couple to take away to Turkey with me. Priced at £2.99 it's honestly amazing value for money. When it comes to face scrubs I never really use them anymore which is quite surprising as I used to always use them. However it got to the point where I felt like my skin was too clean. By that I mean I just felt like the skin had been stripped of all it's natural oils and I just wasn't liking how my skin felt at the end of it. I also started using hot cloth cleansers and I felt like the clothes exfoliated my skin enough to the point where I didn't need a scrub. 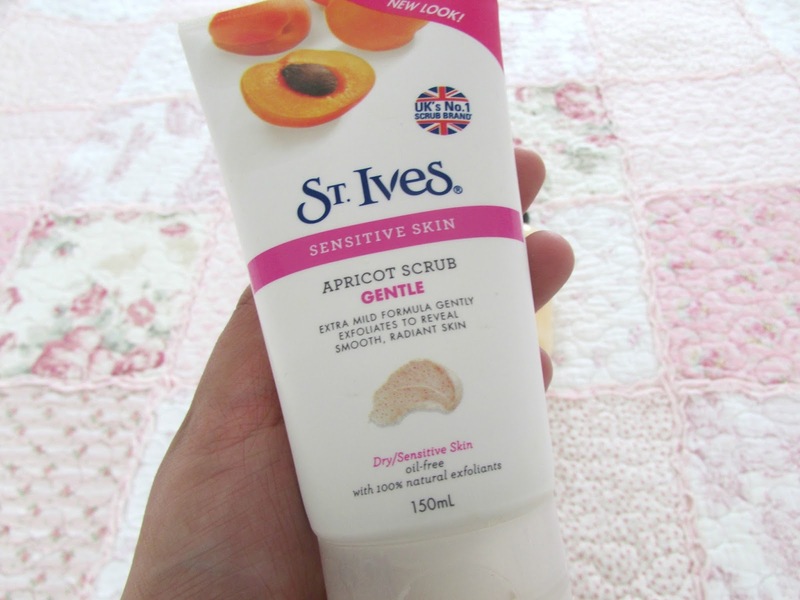 This month I came across the St Ives Apricot Scrub and I absolutely love it. It leaves my skin feeling so smooth and radiant but doesn't strip the skin of all it's natural oils. I only use this once a week as a special sort of treatment for me skin. I absolutely love it. I will be doing a full review of this soon. This can be purchased for £4.29 at Superdrug. The product that is photographed isn't actually the full size. I got this product in my latest Love Me Beauty Box and it was a 10ML sample. Even though I absolutely love this hand cream in terms of how moisturizing and how hydrating it leaves my skin, I absolutely loathe the scent. It smells like licorice which has always been one of my least favorite scents in the whole world and is really not appealing. 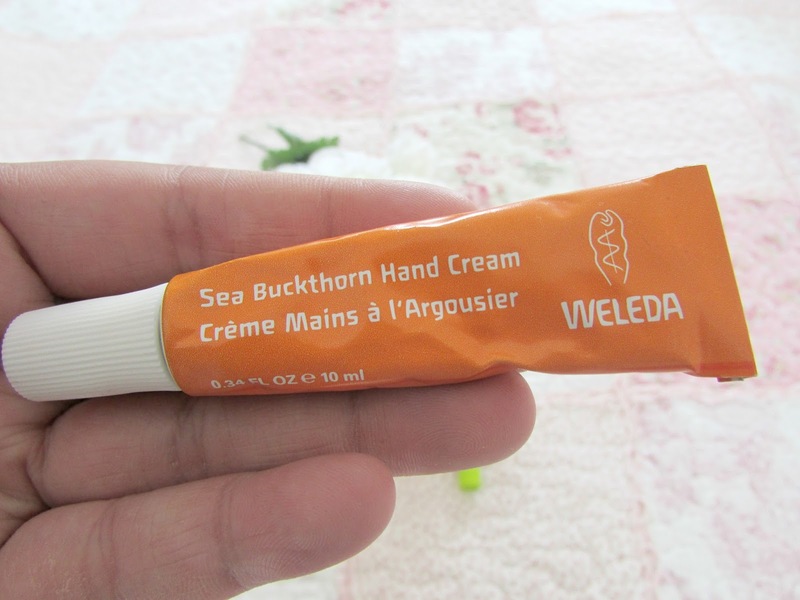 However, the quality of this hand cream is amazing. It contains certain ingredients like vitamins and unsaturated fatty acids, sea buckthorn and seaseme oils to give the skin an intense moisture boost. It also repairs any damage that is done to the skin on the hands which is down to the non-greasy formulation. The normal price of this hand cream is £9.95 and I definitely think it is worth every penny. So that's all the skincare products I have been loving throughout March. If you would like to see full reviews on the last three items that I mentioned then please let me know in the comments. Also let me know if you have tried any of these products and what you think of them yourselves. Stay tuned to my blog as I will be posting my current non-beauty favorites in a post which is something I rarely ever do so I hope you will enjoy reading it.